It's easy, either you go Ham or you go home. This is the country of Alexander Hamilton you're living in. 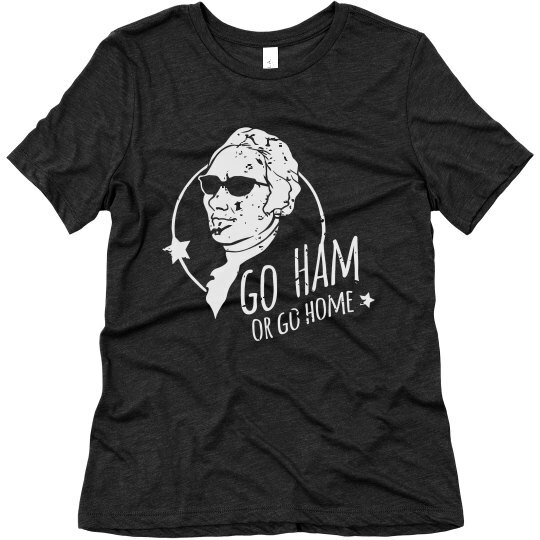 He did a lot for the people of his time, and the people of today.Show your support for Alexander Hamilton. This shirt is great to wear during the 4th of July!